The Western Dredging Associations (WEDA) during its annual conference in Vancouver, British Columbia, Canada proudly presented Environmental Excellence Awards in three categories: Environmental Dredging, Navigation Dredging, and Mitigation and Adaptation to Climate Change. 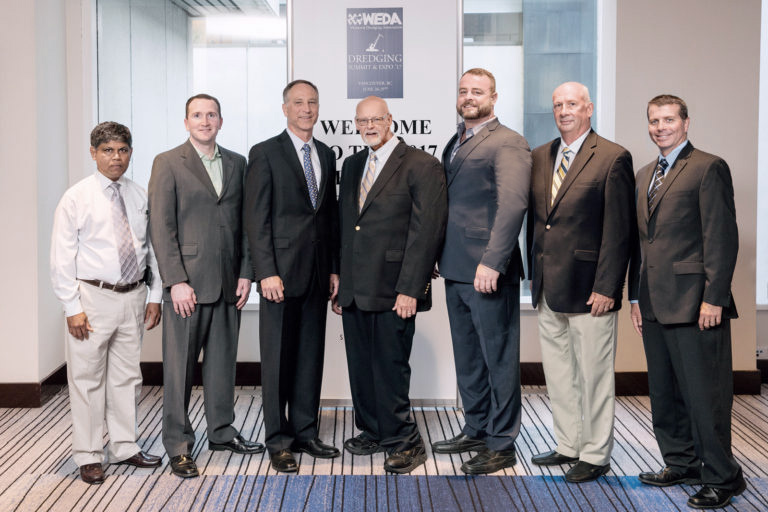 The 2017 WEDA Environmental Excellence Award for Environmental Dredging was presented to the project team for Onondaga Lake Restoration in Syracuse, New York, USA. Project team members are Honeywell International; Parsons Corporation; Anchor QEA, LLC; O’Brien & Gere; Geosyntec Consultants; Sevenson Environmental Services; Infrastructure Alternatives, Inc.; de Maximis, Inc.; and Brown & Sanford Consultants.